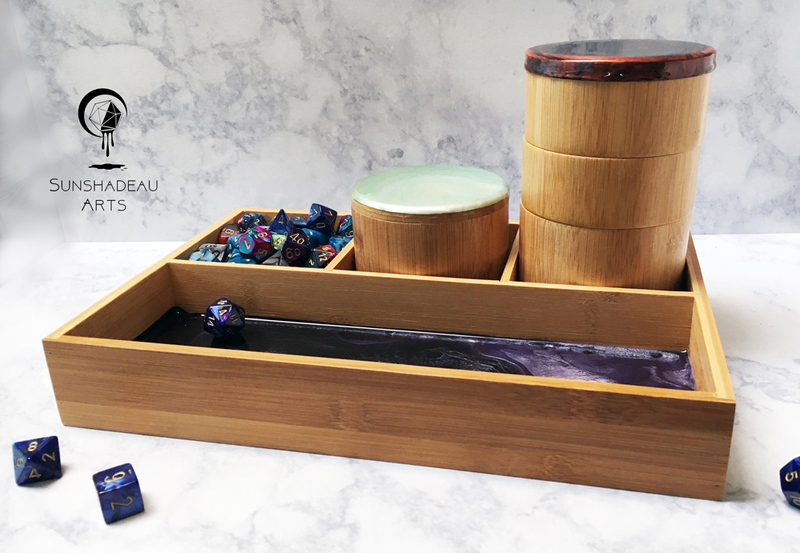 This beautiful bespoke Dice Rolling Station is a part of our Eco Line of environmentally responsible gaming items. 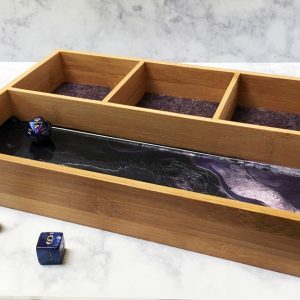 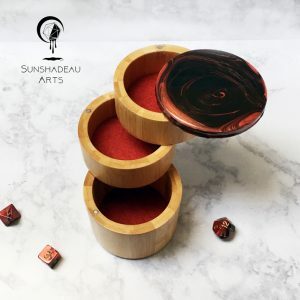 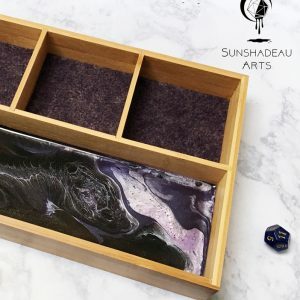 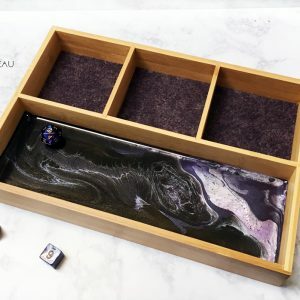 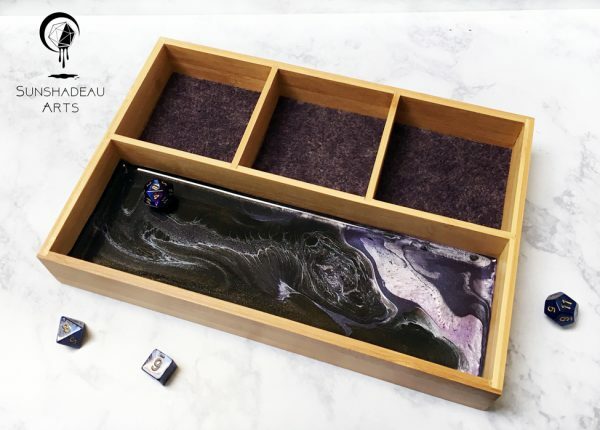 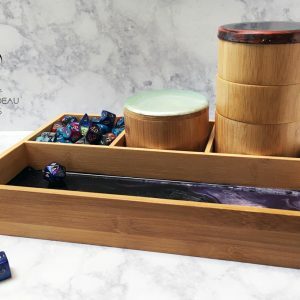 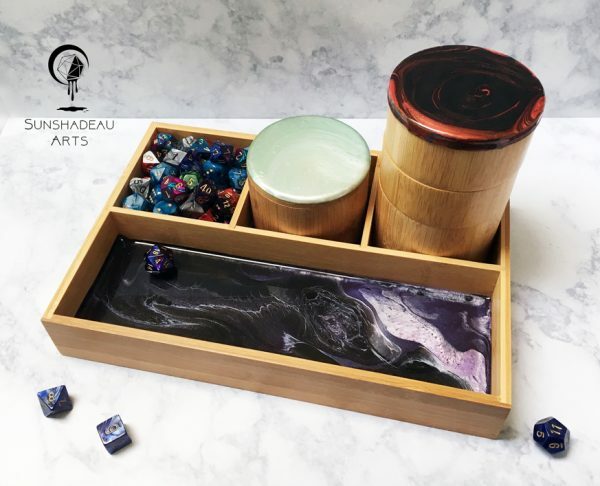 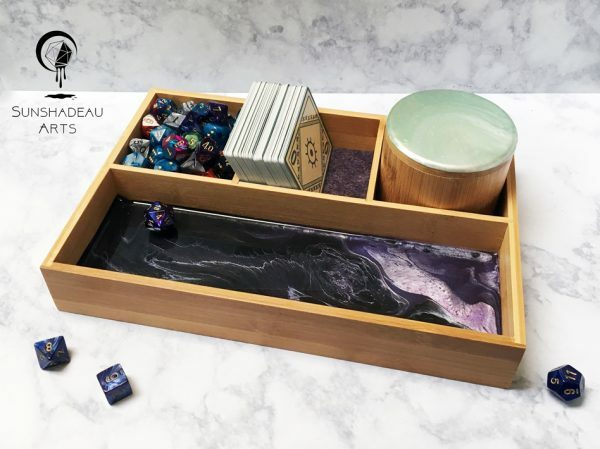 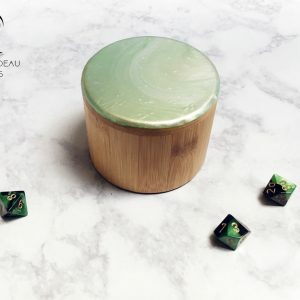 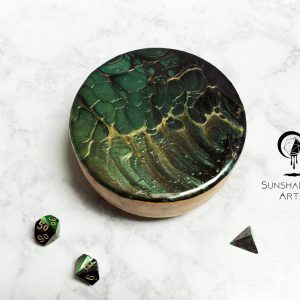 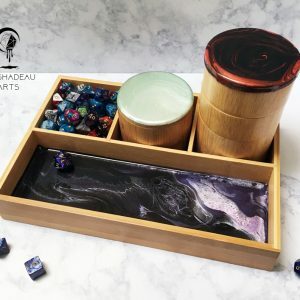 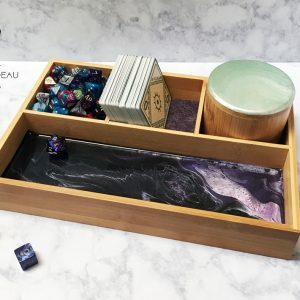 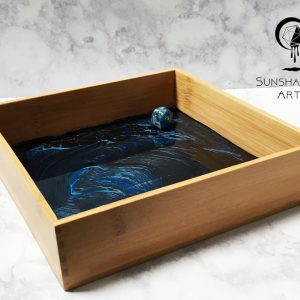 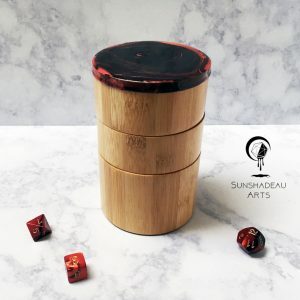 This bamboo dice rolling station has three felt bottomed storage sections and dice rolling tray with a signature Sunshadeau Arts hand painted poured acrylic and resin design. 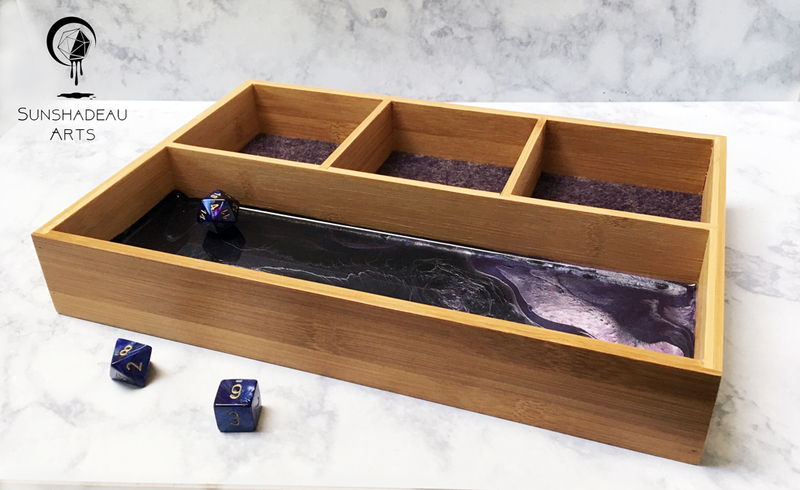 Each storage section fits our Eco Small Dice Box or Eco Three-Tiered Dice Box. Add one, two, or three matching dice boxes to the order by visiting the bespoke dice box listing. 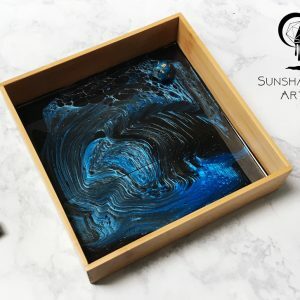 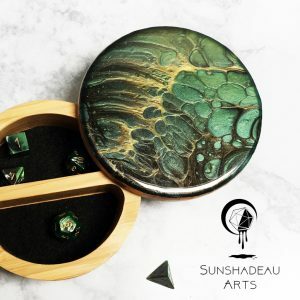 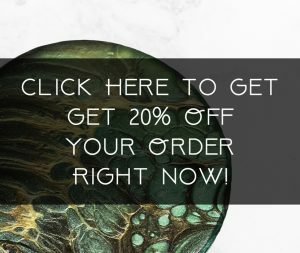 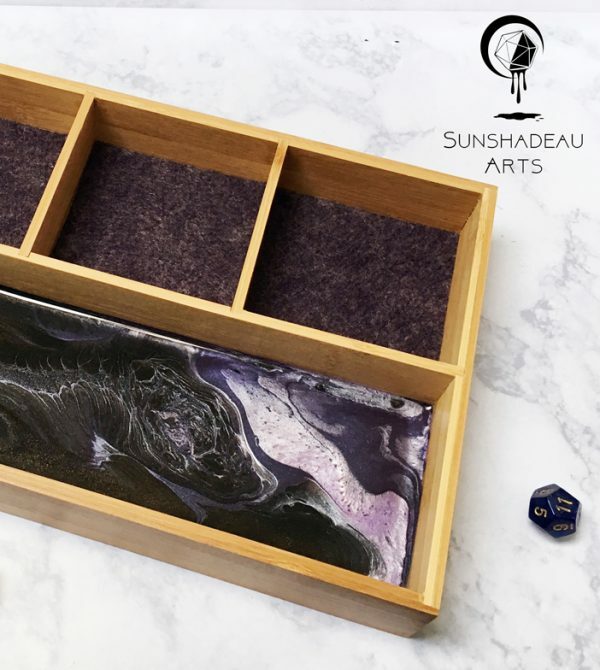 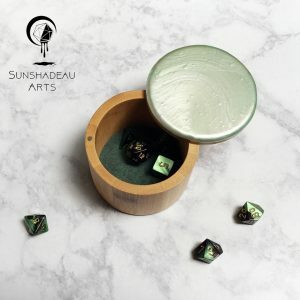 Choose the pour color combination for the interior of the dice rolling station from our selection of exclusive Sunshadeau Arts pour colors inspired by Dungeons and Dragons monsters.